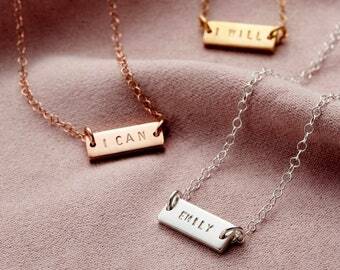 A contemporary design lovingly made by hand in our Brighton (UK) studio. 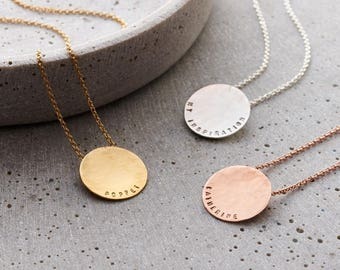 Our Personalised Circle Bar Stack Necklace is a visually tactile design, ideal for teaming up with smaller geometric charms or simply wearing on its own as a Deco-inspired showstopper. Give a casual outfit an instant lift with this piece, or pull together a formal get up for a wedding or milestone birthday party. 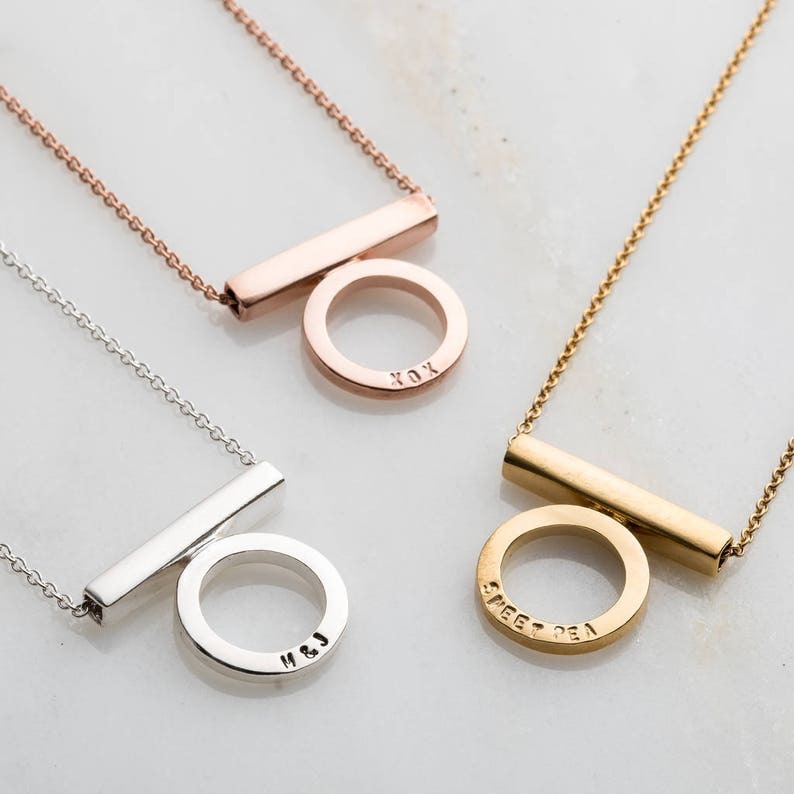 This piece makes an ideal gift for all ages and occasions, as it's both timeless and contemporary. 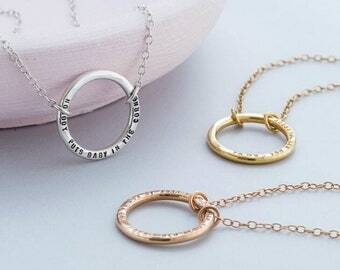 Handmade from 925 sterling silver with the option for 9ct yellow gold or 9ct rose gold plating. Bar part of pendant measures 2cm across, circle measures 1.4cm across. 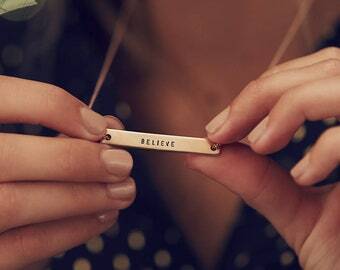 The necklace comes suspended on an 18" extra fine chain. 1) Choose your metal options and text colour from the drop down boxes. Handsome piece; gold looks lovely. Engraving nicely done. Customer service tops. Absolutely perfect! Beautifully made & super fast delivery. Just ordered another!